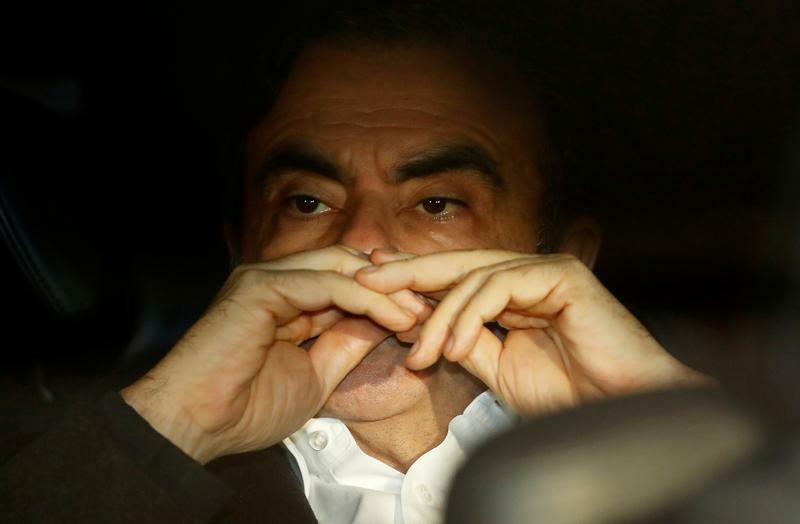 Former Nissan Motor Chairman Carlos Ghosn sits inside the car as he leaves his lawyer's office after being released on bail from Tokyo Detention House, in Tokyo, Japan, March 6, 2019. Japanese prosecutors on April 4 arrested ousted Nissan boss Carlos Ghosn on suspicion of trying to enrich himself at the automaker's expense. Ghosn had been released on bail on March 6 after spending more than three months in detention for charges including financial misconduct. In a TV interview aired on April 4, he called on the French government to defend him: “I am keeping up my combat, I am innocent. It's hard, I have to admit it, and I call on the French government to defend me, and to defend my rights as a citizen,” he said in an interview with French stations TF1 and LCI. France’s finance minister, Bruno Le Maire, told BFM TV on April 4 that Ghosn was getting French consular protection and that there must be a presumption of innocence. Le Maire also said his responsibility was to ensure that Renault performed well.